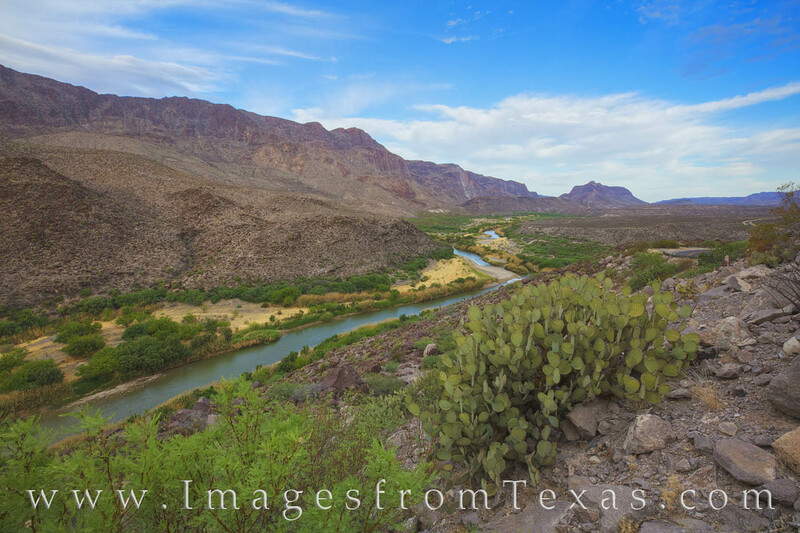 The Rio Grande flows along the southern border of Big Bend Ranch State Park, serving as a boundary between Texas and Mexico. The water brings life to an otherwise barren area, and the lush green vegetation shows what it means to this area. Taken on a beautiful, still morning in April, this west Texas image offers a glimpse at the remote beauty this seldom-seen area holds.